Cd. 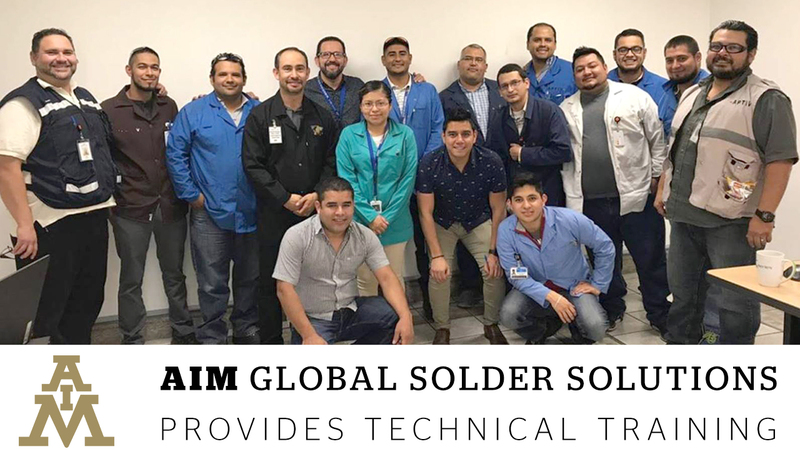 Juarez, Chih., Mexico ― AIM Solder, a leading global manufacturer of solder assembly materials for the electronics industry, was pleased to provide training to Aptiv employees on October 22nd, 2018 at Aptiv Rio Bravo I in Ciudad Juarez. David Solis has over 20 years of experience in the electronics industry, specializing in SMT maintenance and production for the automotive, commercial, medical and solar industries. A Selective Solder Process Expert, with additional certifications in Bullet Proof Management and Process Optimization, he also has experience as a manufacturing and project engineer.